The Royal Opera: House of Musical Arts was inaugurated last month in Oman with a concert that was attended by a host of public officials and dignitaries from the Sultanate and many other countries as well as heads of diplomatic missions to the Sultanate. This new addition to the Royal Opera House Muscat, which was launched eight years ago, reveals Oman’s capacity to host world-class artistic and cultural events with the use of innovative technologies. The House of Musical Arts will be a centre for different forms of art and music complementing the Royal Opera House Muscat’s objective to present a diverse programme of music performances. The House of Musical Arts will celebrate other cultural aspects by holding permanent and temporary culture and arts exhibitions, in addition to hosting seminars highlighting the evolution of art and its impact on world history. The House of Musical Arts was established to accommodate further works of art and musical performances. The role of the stage is to support Royal Opera House Muscat programming and provide a suitable venue for a myriad of cultural events and opera masterpieces. The venue boasts state-of-the-art acoustic controls, fully configurable stage, advanced scenery control and other stage mechanics. The building also includes a music library, an extensive archive facility, and a cultural centre, in addition to the permanent exhibition and halls dedicated to hosting touring exhibitions. THE first event to take place at the House of Musical Arts was Opera, 400 Years of Passion, organised by the V&A, its first touring exhibition outside London. The exhibition will tell the story of opera’s journey to Oman. Four hundred years ago in the early 17th century, opera was taking root in Venice, Italy. By the end of the century, it had spread to Italy’s finest cities; and in the 18th century, opera became Western Europe’s most widespread and popular musical art and would soon migrate to the Americas. 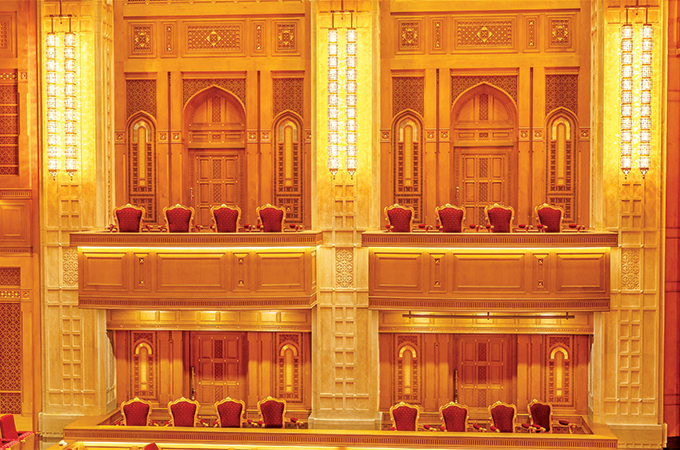 Opera came to Oman in 2011 when His Majesty Sultan Qaboos bin Said established the Royal Opera House Muscat, honouring the distinguished history of world opera while building upon age-old traditions in the music of Oman.